The Reverend Deacon Jacques Cooke born 16 December 1924, Roubaix, Northern France: died 25th March 2019, Inverness. James Cooke was the second of five children born to British father (John) and a Belgian mother (Marie-Louise nee Hollebecq), who met on the evening of the 11th November 1918 and married in June 1921. Jacques was born on the 16th December 1924 in Roubaix in northern France, a short distance away from the Hollebecq family home in Mouscron. Jacques Cooke was a nuclear engineer at Dounreay who in 1986 became the first Roman Catholic to be inducted as a permanent deacon in Scotland for over a Millennium. The Reverend Deacon Jacques Cooke, who passed away aged 94 in Raigmore Hospital, Inverness, on March 25th, 2019, became the first permanent deacon of the Catholic faith in 1986 to be ordained in Scotland for many centuries. The Principal Celebrant at his funeral Mass in St Mary's RC Church in Inverness on 5th April 2019 was appropriately the Most Rev'd Archbishop Mario Conti, Emeritus Archbishop of Glasgow, who had encouraged Jacques to follow this path to a post-retirement vocational career 'in the service of the Lord'. It is the one for which Jacques will be principally remembered. A young Father Conti became familiar with the faith and personal qualities of father-of-five Jacques whilst he was serving as the parish priest of St Joachim's & St Anne's (Wick & Thurso), the most Northerly RC parish on the British mainland, from 1962:1977. The influx of some of the best young British brains of that generation to Dounreay spawned or breathed new life into many institutions in nearby Thurso, Scotland's only North coast town, where most of the new arrivals were housed. The congregation of its newly-built St Anne's RC Church (1960) was no exception. Cooke became a prominent layman there, a regular reader, chorister and altar-server, who often undertook time-consuming voluntary tasks. After his appointment to Aberdeen in 1977, Bishop Conti played a key role in re-establishing the 'permanent diaconate' in Scotland. It became the first of Scotland's eight RC dioceses to do so and in Jacques Cooke in Thurso, the Bishop had in mind a suitable candidate. The move that allowed family men to train for four years and then to serve as RC clerics had been brought about by the sweeping changes initiated by the international Second Vatican Council ... Vatican II ... that reported in 1965. Cooke was truly a 'child of the Great War', born to a couple ... a British Army officer from Ulster and a pretty young Belgian girl ... that had met up on Armistice Day, 1918. Her family's home in Mouscron, near the Franco-Belgian border, had been requisitioned by the Germans and now British officers were being billeted there; a marriage followed in 1921. A keen teenage sportsman ... Jacques played for Standard Liege FC's youth team ... his parents and their five children decided to flee from Liege to England via Ostend, sailing just hours before the German army invaded Belgium again in May 1940. After schooling, he joined the RAF, but his training as a Bomber Command aircraft navigator had not been completed by the end of WWII hostilities. In May, 1947 Jacques married Mary 'Moira' Corrigan, whom he had known prior to his service enlistment. The Cooke's home then was Wolverhampton, in England's West Midlands, and he qualified as a chemical engineer at its (then-named) Technical College, now University. He was recruited to the UK Atomic Energy Authority at Windscale ... now referred to as Sellafield ... and in 1950 with toddler Anthony in tow, the couple moved to nearby Whitehaven, Cumbria, where their family-of-five was completed; two more boys and two girls. In 1963 Jacques took up the offer of a transfer to Dounreay, UK AEA's linked series of reactors and process plants at the very 'cutting edge' of Britain's energy technology in the days before North Sea oil & gas was exploited. It was in nearby Thurso that Anthony, Christopher. Pauline, Martin and Jacinta Cooke were raised. As a teenage trainee librarian, outgoing young Pauline Cooke was chosen as 'Gala Queen' for the town's annual week-long charity fund-raising carnival and was the Caithness area's representative finalist in the then-popular 'Miss Scotland' beauty pageant. After being accepted and undertaking four years of study in the early 1980s, Jacques qualified as Scotland's first RC permanent deacon, taking early retirement from the Authority in 1986 to devote himself to his new role on a full-time basis, initially in Caithness and then in Inverness, where he served until early last month. His wife's health began to fail in late 2009, and she passed away in January, 2011. The second decade of the 21st C was to bring further family heartache to the Cooke's: firstly Anthony who had built up a construction company in British Columbia, Canada, passed away in 2013, whilst in 2016 son Christopher died whilst on an oil & gas industry assignment in Egypt. Son Martin rose as a middle-manager in education services in Hertfordshire, Mrs Pauline Halliwell lives with her IT computer-specialist husband in Vancouver, Canada, while Jacinta is a civil servant in Edinburgh. In 2011, when the silver jubilee of Jacques's ministry was marked, he observed that he could not have followed this path if it had not been for the support of his wife Moira. He told close family that he firmly believed that he would be rejoining her in the life hereafter. 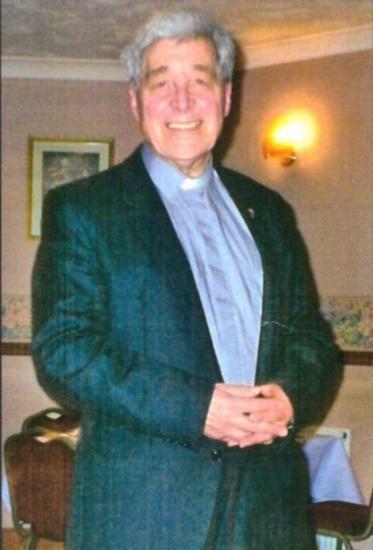 The Rev Deacon Jacques Cooke, who had looked after himself in good health at his home in Inverness since his wire's fatal illness, suffered a fall on March 18th, 2019, and was diagnosed by doctors at Raigmore Hospital as suffering from a broken hip-bone. That night he slipped into unconsciousness that he did not come out of, and passed away less than a week later. Jacques is also survived by his brother Robert-Claude, six grandchildren and four great-grandchildren. At Rev. Deacon Jacques Cooke's Funeral Mass held in the fine neo-Gothic (1837) church on the banks of the River Ness in Inverness's city centre, the Emeritus Glasgow Archbishop was assisted by retired Bishop Peter Moran of Aberdeen and by Rev. James Bell, parish priest of St Mary's in Inverness. A large gathering of RC parish priests in the diocese were present to pay their last respects. There are now over 70 RC permanent deacons on Scotland attached to the Catholic Church's eight dioceses. They can baptise, witness marriages and perform some funeral services, as well as widely assisting the diocese Bishop's priests.